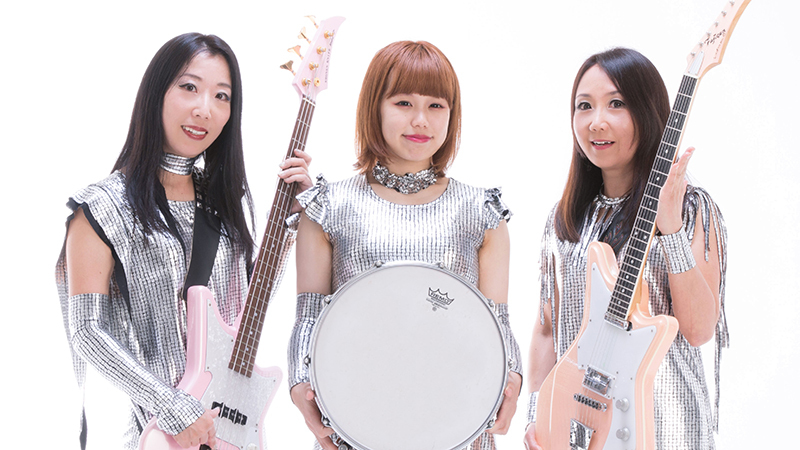 The ever adventuring wonder-beast of Japanese sugarcoated rockin’ fun, Shonen Knife have announced they will return to Australia for the fourth time in 30 years. Now in their 36th year as a band, and nearing on 1,200 shows and 18 studio albums, Shonen Knife will play at The Basement on Thursday September 28. Joining the never-ending girls in Canberra will be the combo of our very own Glitoris and Indonesia’s experimental magnificence that is Senyawa. A full platter and a half … it’s gonna be fun! Tickets are available here. Since their humble DIY beginnings in Osaka in late 1981, Japan’s Shonen Knife have been building a faithful following of rock enthusiasts and alternative rock elite, their relentless journey securing the band’s place as one of the pioneer ambassadors of Japanese rock music and culture on the international stage. The rock and roll dreams of three girls blossomed into a reality and the trio continues now with their 16th release Adventure recorded in late 2015. The band features original members (and sisters) Naoko on vocals and guitar, Atsuko on bass and vocals and introduces their newest member, Risa, on drums and vocals. Naoko describes the Adventure album as Shonen Knife “passing through the 70s”, born of influences such as Black Sabbath, Thin Lizzy, Judas Priest and The Ramones with a touch of The Supremes, all presented through the lens of Shonen Knife’s charismatic pop, sunshine filled fantasy world. This visit will also see the release of a special Australian tour compilation album, READY! SET!! GO!!! on vinyl. Get yourselves keen and fire up the ramen rock with this video of Naoko whipping up her own tour supplies.